Getintothis’ guest writer and Liverpool Daily Post reporter Vicky Anderson reveals her love of the darkside and Liverpool’s best kept secret. Metal is up there with genuinely enjoying eating instant noodles and wanting to be Dana Scully on the list of things I shouldn’t still be doing, but do. Every time I think I might be done with it, something happens – like the comedy injustice of Metallica getting shunted off Live Earth for Crowded House – to illustrate I’m in with something much bigger than just little old me. I don’t see the point of being elitist about it, and think it would be great for the bands I love became properly successful, simply because they’re making some of the best music any genre has to offer. 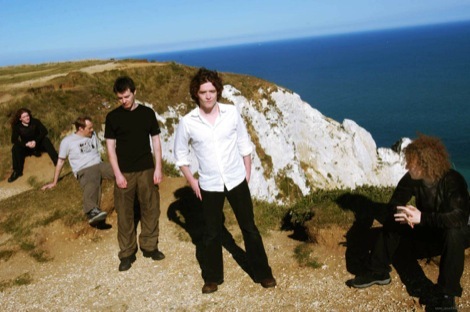 Take Anathema – I’ve written plenty about them in the music press over the years, but always wondered why their importance as a Liverpool band has never been explored or recognised. Is it because they’re rooted in metal that they’ve stayed under the radar? Is it because they never built up a hometown audience, instead heading straight for the venues of Europe? It’s not absurd to say Anathema – currently brothers Danny, Vinny and Jamie Cavanagh, Les Smith and siblings Lee and John Douglas – have ten times the Scouse wit, sweetness, talent and melody of most of the acts lauded in gold discs on the walls of Mathew Street put together. From the gentle lilt of the accent you can’t ignore even in song, the friendly on-stage banter and the Beatles-esque ear for atmospherics and heart, I’d argue there’s only one place these guys could be from. The band first formed as teens in 1990, and along with Yorkshire contemporaries My Dying Bride and Paradise Lost were eventually regarded as the Great Three? in terms of not only the UK but the international doom metal scene – the slow, dark, gothic death metal sub-genre that they became synonymous with. 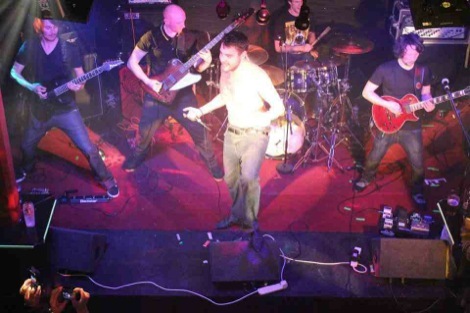 In Liverpool though, gore-grind kings Carcass were the only other local band which had a similar widespread influence on the world’s metal scene. Anathema’s signature album of that era was 1995’s The Silent Enigma – the album cover featured an aspect of Lady Milton’s Comus, which hangs in the Walker (bottom right). 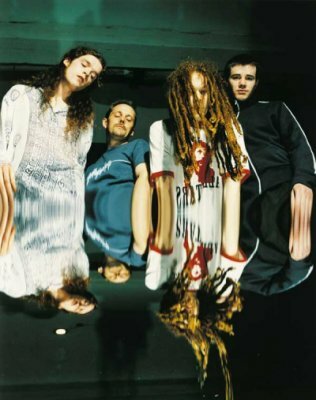 Eternity, Judgement and Alternative 4, the albums which followed into the millennium showed that the band, always with a beautiful ear for a simple melody, had stripped down their sound and were changing with the times. More accessible, often semi-acoustic and with deeply personal lyrics, the obvious Pink Floyd-y, Nick Drake-y influences had come to the fore. Things hit a rocky patch with the 2002 album that was supposed to be their crossover into the indie-rock-type arena, A Fine Day to Exit. It was too light for the metal crowd (they still get a lot of stick in that regard), and had no wider mainstream success than before, although its signature songs sit very well in their live set now. But! Just when it was looking as if they wouldn’t bounce back, in 2004 they released A Natural Disaster, arguably their best to date. It showed that a band with so much history behind them could continually better themselves – a rarity in these times of such disposable music, and what’s more, despite their ups and downs (there’s been plenty) and comings and goings and returns to the fold of various members (also numerous) they have never caved in, given up, or compromised. Then, the band was left homeless after Music for Nations folded, but rather than sign with a metal label they stayed independent, and with any luck, their new album Everything will soon be out. A couple of tracks are available on their website anathema.ws, with the band asking for a small donation to help cover recording costs. I say with true conviction that Anathema have proved themselves to be one of the most important bands this city has ever produced. This summer, they have been playing and headlining festivals in Finland, Cyprus, Poland, Italy, and Holland, as well as Download. It’s about time that Liverpool realises that whenever Anathema are around, it’s just as big a deal for the city as when Shack or the La’s are. It’s that simple. Next time: Vicky tries to get Carcass a brick outside the Cavern. Next Article Nationwide Mercury Music Prize: Why Bother?